In my last post I mentioned that I had crocheted three shawls. 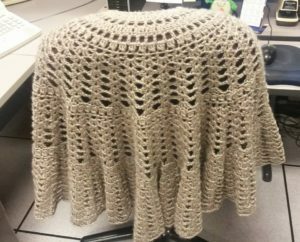 I’m one of those people who gets cold easily, so shawls come in handy when I’m at work or traveling. I only have pictures of two of them completed. The third picture is just the first couple of repeats of the shawl. 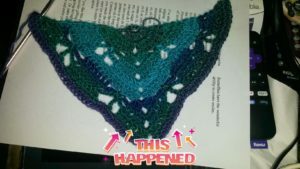 The first picture is of a shawl that was supposed to be mine, but when it was finished I wasn’t really happy with the colors. My sister, on the other hand, adored it. So I gave it to her! The second picture is a completely different pattern. This one was intended from the beginning to be kept at work, so I picked a really boring neutral color for it. 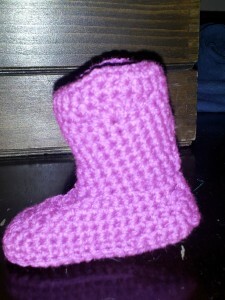 I love the pattern though and expect I’ll be making a few more in different colors and different weight yarns. The third picture is actually the first shawl I did. 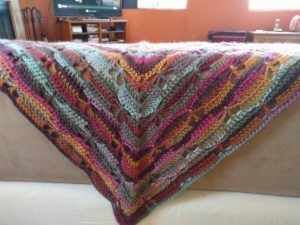 It’s the same butterfly stitch as the first shawl, but a different weight and color of yarn. I’ve neglected this site for a long time. I didn’t mean to, but the road I was walking kept throwing obstacles in my path and I wasn’t doing much in the way of crafting. I was reading and doing some cooking, but mostly I was concentrating my writing. That has its own site over at J Lynn Baker. It seemed like there was never time to update things here, and I have to admit that on some occasions, I just didn’t want to update. I think in some way I felt it would take away from my writing. I’ve changed the way I feel about that – updates here count as writing. They’re non-fiction writing and I’ll be tracking the number of words I write here as well. Another thing that brings me back to this site is that I have some major projects I’m working on. I’m going to document them here so I have a record of the process involved. So, I took a fork in the road and got lost in the shadows for a bit. I’ve found my way back to a place I know now. This time around, I’ll try to keep a better record of the branchings in the path so I can find my way back if I need to. Wow…. I hadn’t realized how long it had been since I’d posted here. Life got a bit crazy for awhile and I had some computer problems combined with getting a tablet that can do most of what my computer can do. But I’m back, and I have lots of things that are starting to happen – lots of projects on the list that I’m actually starting or finishing. I’m going to make it a point to post at least once a week here, even though I’m pretty sure my few visitors have forgotten about me by now! I need to keep a record of my projects and how they turn out, and this is where I’m going to do it! I just finished re-reading a book so that I could read the next in the series. I think I enjoyed it more this time, in part because I picked up more of the inside references. Now, I have to be up front here. 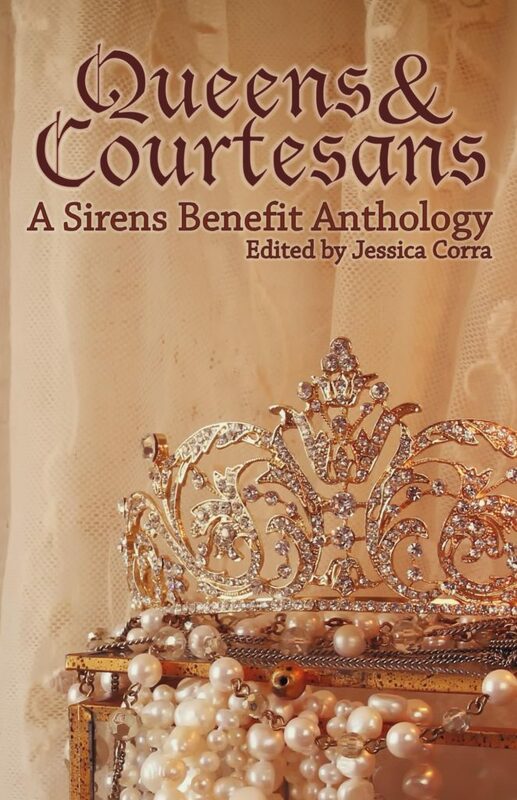 I have met both the authors of this book and I’ve been supporting their work for several years and yes, the links to the books and Kindle versions of the short stories mentioned in this review are my Amazon affiliate links. That being said, a review of the book can’t be impartial. Then again, is any review ever really impartial? The book in question is Phoenix Rising: A Ministry of Peculiar Occurrences Novel by Pip Ballantine and Tee Morris. Phoenix Rising is a steampunk novel featuring Wellington Thornhill Books – a proper British Archivist for the Ministry of Peculiar Occurrences and Eliza Braun – a field agent for the Ministry from New Zealand who is particularly fond of dynamite and black powder. It is the tale of what happens when two very different people are forced to work together. There were three things in particular that I enjoyed about this book and that make it worth re-reading and recommending to friends and to my local indie book store. Steampunk is not just an aesthetic. When goggles or a gadget is introduced, it’s put to use. Not only that, the gadget and its use are well described – the hiss of steam and sound of gears and cogs moving is always noted, but never gets in the way of the story. There are dark moments and themes, but the story is not distopian or depressing. It’s fun. This is a Victorian Britain where there is crime and dirt and unfairness, but it is also a Britain with hope and kindness. I’ve heard the book described as “the Avengers (1960’s TV- not comic books) meets the X-Files meets Steampunk.” I think that’s pretty accurate. I might add The Wild Wild West TV series into the mix although the novel (other than the opening chapter) never makes it out of Britain. There is depth to the characters and story. There are many passing references to cases and to the characters’ pasts that make me want to know more. And, over at The Ministry of Peculiar Occurrences, there is more to learn. Pip and Tee (and their publisher HarperVoyager)have allowed other authors to write in their world, expanding on agents and stories mentioned only briefly in the book. The stories are available in e-book versions from several sources for 99 cents for individual stories to 2.99 for collections of stories. Here’s a link to the Kindle Versions . There are other things that I enjoyed as well. I got a kick out of the inside jokes and references, but then again, I’ve met or know of several of the people involved in them. I also enjoyed the appearance of the Ministry Seven. An unexpected yet wonderful use of the unnoticed and “unimportant” in Victorian London. Phoenix Rising is a book that can be read for simple enjoyment and fun – and the banter between the main characters will bring a smile to your face. It can be re-read with equal enjoyment even when more attention is paid to details and themes. I have no doubt that I’ll be re-reading it yet again in the future and the story will always fit the mood I’m in and what I’m looking for. I just hope that by the time I read Phoenix Rising again, I’ll have had a chance to get it, and the follow-up (The Janus Affair) signed by Pip and Tee! Since this blog is a map of my wanderings at the shadows’ edge, I’m finding I need to start including a few things I hadn’t planned on. One of those things is what I read. Now, I read a lot. Blame my step dad, who taught me how to speed read when I was in third grade. And I have feeling its only going to get worse because I just got a Kindle Touch for my birthday. I can’t afford to buy books as fast as I read them, so very few of the books I post about here will probably be new – unless I can get advanced reader copies. Many of the books will be old friends that I return to when I want something I know will entertain me. Some of the books will be those that I use to research the various projects that I’m working on. So I may be posting about books from sci-fi and fantasy to the history of a particular period or how to make or do something. I will start posting these reviews within the next week or so although I don’t know how often I’ll post them. I certainly won’t be posting about everything I read – just what I enjoy or find useful.